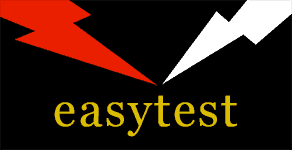 easytest Pty Ltd is a wholly owned South Australian business which is dedicated to creating clever pieces of electrical testing safety apparatus that are task specific and easy to use so that workplaces can perform and manage their own electrical safety testing of their electrical appliances and RCDs to meet the requirements of AS/NZS3760. If you are an existing student, click here to access the training videos and enter your password when prompted. Every lesson has been edited to be the best presentation possible and it is the same every time. We know that every student learns at a different rate and you are all time poor, so the lessons are broken into small bite size chunks averaging about 10 minutes each. All lessons that can be reviewed as many time as needed for as long as needed, even after graduation. Every demonstration is right there in front of the student. No one is missing out at the back of the class. A classroom moves at the speed of the slowest students. Online there is only one person in the class and they move at their own speed and no one is left behind. If a section is not understood or the student “pops out” during a class session that section is lost and cannot be revised. Using the online method the student can revise the lesson as many times as necessary. In a classroom the only record of the lesson is the memory and perhaps a workbook with some notes. Online they have the entire lessons available for revision for as long or as often as necessary. The course is available anywhere in Australasia, not just major metropolitan centres. There are no travel or parking fees.